We like to keep things fresh on the Red Chip Poker podcast, and this week is no exception. For the first time, we spin things around and put host James “SplitSuit” Sweeney in the hot seat. He gets interviewed by Sky Matsuhashi, poker pro, coach and host of the excellent Smart Poker Study Podcast. Matsuhashi asks about SplitSuit’s coaching and poker history, leaks found in students, hand reading and other topics that are at the top of any serious player’s mind. SplitSuit starts off talking about all the content he’s producing for Red Chip Poker and standalone courses. He talks about how lots of poker strategy content is great from a strategy standpoint, but lacked audio or video production value. One of his main goals in starting Red Chip Poker was to produce professional, high-quality videos that were as strategically valuable as they were watchable. Sweeney talks about his poker upbringing as a typical “pre-Black Friday guy” who started playing tournaments. This then led to a successful run in live poker, but he found himself one of those players dumping it all back into the pits. He cut off all the gambling cold turkey for a few months, but after encouragement from his online poker buddies, he realized the huge potential in taking advantage of the soft play online. He returned to online poker playing 6-max and full ring cash games. He stuck through college to get his degree and then followed the exodus to Vegas where he lived in a poker house and grinded a living on the felt. Over time, he began coaching more and more based on popular demand. The game Sweeney currently plays in is a $1/$2 game (occasionally $2/$5), but in Oregon the rules government live cash games are a bit unique. They are run as a “semi-tournament” that shuts down every hour or two, and players have the option to cash out, rebuy back up, or continue playing. You cannot leave in the middle of the session unless you bust out, so in that sense it’s like a tournament. And if you’re in the restroom and you’re in the big blind, someone will actually take chips off your stack to pay the big blind. He said that the average player is probably a little too nitty and showdown-focused. He sees too many folds these days. The frequencies get all screwed up and your life will be miserable, even if you don’t see it happening. You lose lots of small- and medium-sized pots. Getting out of being nitty is about first realizing you have a problem. Next you have to look for extra spots to open up your range and start 3-betting or calling wider with position. You can’t wait for aces and kings your whole life. You will not have a fun time playing poker. Throw the hand chart out and make more player-dependent, exploitative decisions. Matsuhashi talked about how Sweeney’s Hand Reading Lab course revolutionized his own game. He points out that hand reading is so important not just because it is often neglected. It’s critical to realize that hand reading comes into play in literally every hand of poker you play. He’s had his ear to the ground for a long time, listening for what students across the poker strata are interested in learning. Hand reading came up again and again, and he finally tackled it several months ago. The end result is 7+ hours of video, featuring 27 episodes of high-quality hand reading strategy. Sweeney talked about how process is key to hand reading. You cannot be 100% correct every time, but having a hand reading process of assigning a range, starting preflop, is absolutely essential. Poker is an information game, and if you’re not hand reading, you’re just guessing. Sweeney described his mathematical brain constantly breaking things down into pie charts and statistical probabilities. Many poker players can appreciate this, we are sure. As applied specifically to hand reading, it’s useful to visualize a pie chart comprised of strong hands, medium-strength hands, and weak hands during each street. If a flop causes that pie chart to be stuffed with strong hands, should we really be c-betting? If the ‘weak’ slice suddenly grows with a scare card on the river, do we now have a profitable line to a bluff? 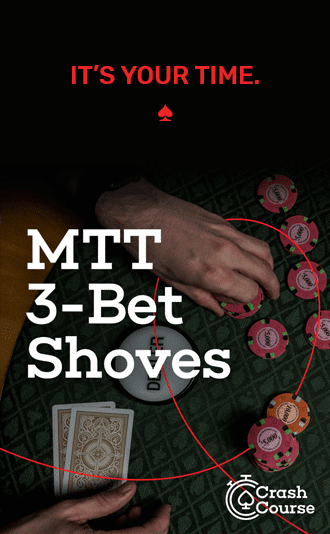 SplitSuit encouraged players to make the best decisions possible in real-time, and to bookmark hands where ranges suprised you for future, off-table study. He highly recommended iterative study — constant, incremental improvements within a consistent framework will be the road to growing your chip stack. And for those who were wondering, yes, SplitSuit does see poker decisions while visualizing a Flopzilla matrix in his mind. So be careful if you find yourself across the felt from him! Thanks again for the interview, James. I really appreciate it and I got some great responses from my audience =) I’m excited to see the re-broadcasted interview on your podcast. I’m on the Red Chip Poker Podcast!!! I also use a mental Flopzilla diagram to see ranges and make decisions. I think I learned it from that Sweeney guy!